It was comical, how Maury and his friend Red kept meeting each other, like in Idaho for potato or sugarbeet harvest, or Montana to fight forest fire, and then they’d drift off, going their own ways, and somewhere down the line they’d run into each other again. It got to be like a serial on TV at noon hour in the hay sheds, Maury telling about Red. His stories didn’t always have a lot of action. Like, once he told about him and Red in this big department store in Salt Lake City and he got all roused up about what was there in the way of toys, a whole floor, nothing but toys. The two of them didn’t have money to spare for presents, but there they were, looking for free and just like kids, only more so, the way they carried on. When he told us one of these episodes, Maury’d get all excited, sometimes he’d stand up and walk around, his eyes wide open and you’d know he was looking right at whatever he was talking about. Well, by the time he got to where Red was elected leader of a strike at a sheep camp in Sweetwater county, it was like we’d come to know Red really well, I mean, sort of personally. This time, though, Maury’d no sooner got started on the strike than old Enos broke in and asked the color of Red’s hair. That interested me. I’d never seen a communist, not to my knowledge. I wondered if Enos had. “They believe in one big union,” Maury said. Lester looked puzzled and Vern told him to take it under advisement. Vern was always telling that to me or Lester. Neither one of us ever asked what he meant by it. Preacher snapped his lunch box together, meaning that time was just about up, but he leaned back against the stacked bales, put his hands behind his head. He was a good man for listening. You might think that strange, but this man we called Preacher was as ordinary as you could imagine and he hardly ever got all holy and know-it-all with us. He had a little Baptist congregation that couldn’t afford enough salary to keep a roof over his family with enough left over to send two kids to college, which Preacher did plan to do, don’t ask me how. Short-term jobs, like bucking bales at Harker’s, was the kind of thing Preacher was always fitting into his schedule. He said, “Proceed, Maury,” and Maury did. “On the day they decided on for the strike, Red goes up to the foreman, name of Lambert, gives him the news. Lambert takes it pretty calm, says, ‘This whole thing is between you and the big man, got nothing to do with me.’ He stands there pawing at his mustache, then goes on to say he’s willing for him and Red to drive the truck over to Harker’s headquarters and put the case to the man. Enos had his watch out again, flipped open the cover and stood up, but he didnt move on out to the trucks, which was unusual, Enos being such a stickler for starting right on time, and quittin’ that way too. 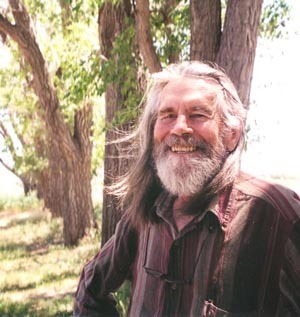 Martin Murie grew up in Jackson, Wyoming; served in the U.S. Army (infantry); studied at Reed College (BA, Literarture and Philosophy) and University of California (PhD, Zoology); taught life sciences at University of Califronia, Berkeley and Santa Barbara, and Antioch College. He retired early, to write. His novels Losing Solitude (1996) and Windswept (2001) were published by Homestead Press and Red Tree Mouse Chronicles (2000) by Packrat Books.